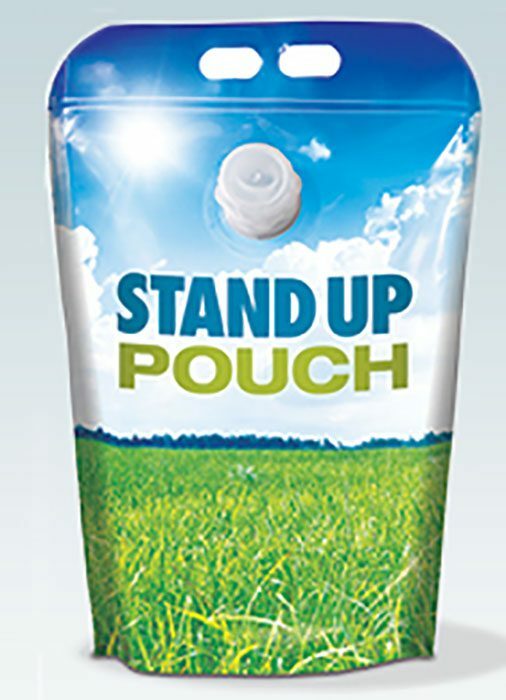 Stand Up Pouches are flexible, spouted packages that stand erect by themselves on a shelf. Originally used primarily on retail shelves for foodstuffs, Stand Up Pouches are now sold to hold a wide range of products in the detergent, household products and industrial markets. Quadpak specializes in stand up pouches for fluids that bring to consumers a high impact, economical and eco-friendly alternative to rigid packaging. Product managers charged with building brand through unique packaging have turned to Stand Up Pouches not only because of their visual appeal but due to their high level of performance and low impact on the environment. With the Stand Up Pouch, consumers have all the benefits of the flexible” bag in box” concept- now without the box! Features that make a difference! QUADPAK IS THE SWEDISH-BASED MANUFACTURER OF PILLOW BAG-IN-BOX, CHEERTAINER™ BAG-IN-BOX, STAND UP POUCHES AND OTHER FLEXIBLE PACKAGING.